Moira is a textile artist who produces a variety of different types of work from pictorial to abstract. She works hand and free machine embroidery on a variety of different layered surfaces including her own printed fabrics. 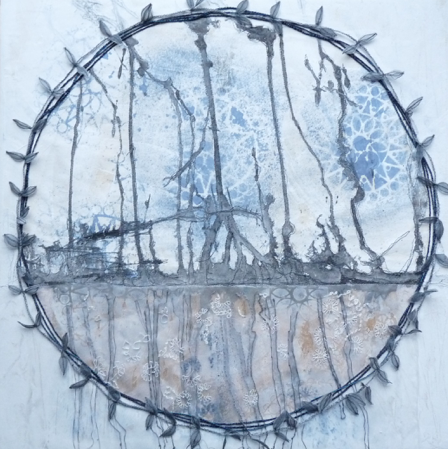 Her mixed media pieces are both 2 and 3 dimensional and include the use of paper, wire, text and recycled elements. 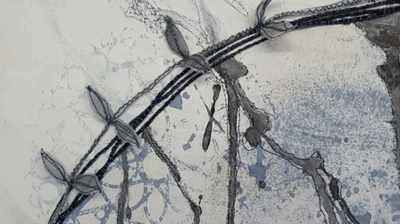 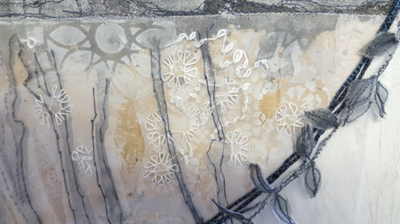 Moira is an active member of several textile groups including Edge – textile artists Scotland and teaches a variety of mixed media and embroidery classes. 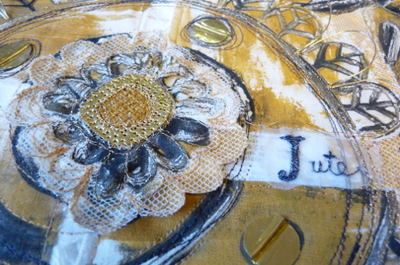 On show will be a selection of her recent work including sketchbooks as well as some handling samples.